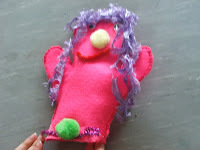 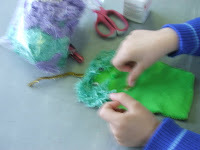 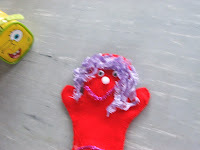 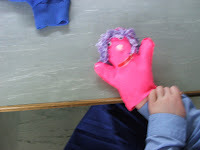 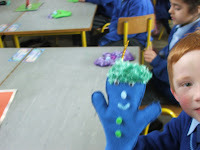 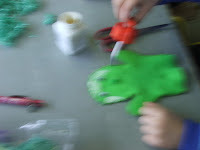 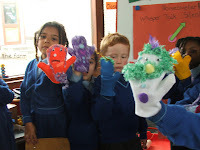 This week we used different sorts of materials to make puppets. 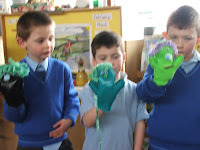 We had great fun making our puppets. 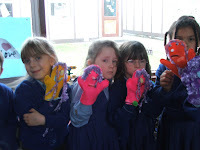 Our puppets are made from felt. 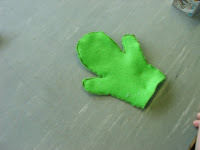 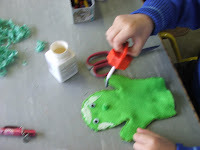 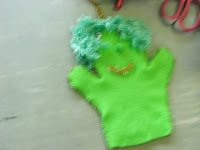 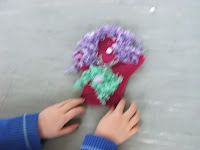 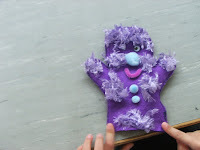 Two pieces of felt were sewed together to make the puppet. 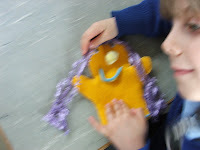 We brought the puppets to life by giving them faces and hair. 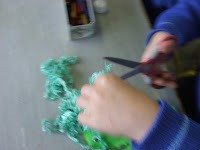 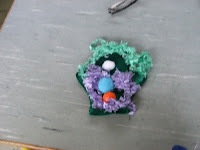 We used wool, cotton balls, pipe cleaners and other bits and bobs. 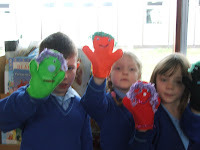 Look at the fantastic puppets we made.